The CRP Group has its headquarters in Modena, Italy’s renowned motor valley. The Group is made up of specialized companies dedicated to providing clients with the very latest technological solutions. The Group is comprised of separate divisions: CRP Meccanica, CRP Service, CRP Technology, CRP USA. With over 45 years of experience on customization, high-end technologies, a broad range of applications and customer service, the CRP Group maintains a strong relationship with client companies and entrepreneurs in the fields of the automotive industry and motorsports, design, aerospace, Unmanned Aerial Vehicles (UAVs), the marine, and entertainment. High precision CNC-machined parts are processed with the latest 5-axis CNC centers. The department is equipped with CNC lathes, an EDM area and an inspection area. Customers can access multiple 5-axis CNC machine centers to take advantage of CRP Meccanica’s expertise in the machining of complex and sensitive parts. 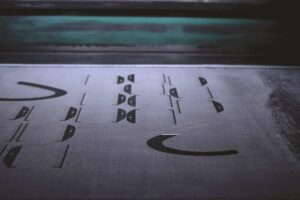 All CNC machines are connected to company net and receive the instructions from the technical office in order to maximize the automation and the productivity to the advantage of delivery timing and final product quality. Materials processed include: Titanium Ti-6Al4V, Steel 13-8 PH and 300M, MMC – AMC225XE, Inconel 625 and 718, Aluminum, Magnesium and Copper. Additive manufacturing and 3D printing with Windform® materials allows the construction of functional prototypes and aesthetic parts in the shortest of time frames and with maximum design freedom. Additive manufacturing technology makes it possible to undergo custom production, from a CAD 3D file to the finished part in just one step, and without the need to construct support tooling. The laser sintering department is equipped with production printers that are characterized by the high level of innovation and manufacturing volume capacity that they provide. The technology of laser sintering with Windform® materials is able to create finished models in short timing that are suitable for functional and fluid-aerodynamic tests, fitting and assembling. Creating a prototype is always a challenge, but CRP Technology has greatly increased the capabilities of 3D Printing to make it easier. In 1996, the company’s R&D department developed Windform® laser sintering (LS) materials. Windform® materials make it possible for laser sintering technology to fabricate high performance parts for wind tunnel applications, as well as highly-functional and beautifully finished parts. 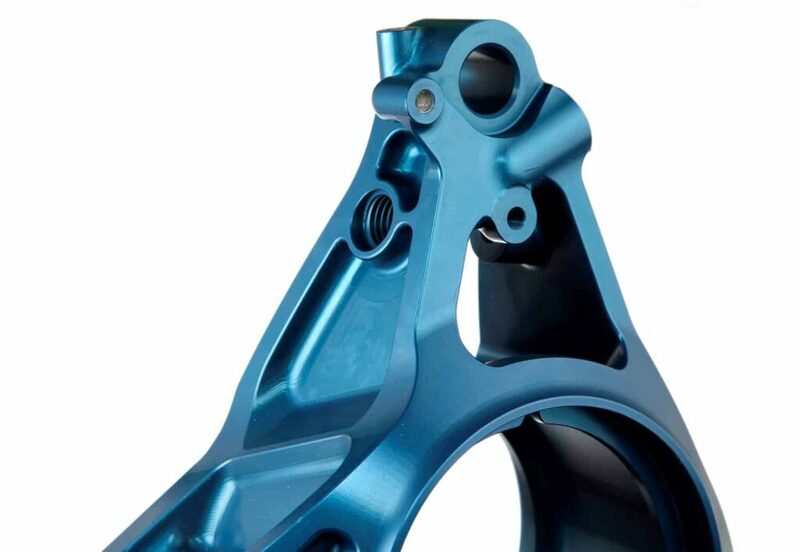 All Windform® materials can be machined if required, and they can also be painted. Windform® XT 2.0 assures the maximum mechanical performance for 3D printing and Additive Manufacturing. It is characterized by high stiffness, excellent strength and reduced weight. 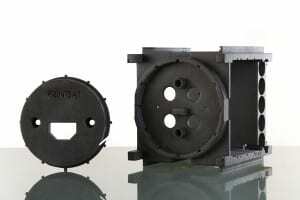 standard technologies such as injection mold, lamination of carbon fabric and metal replacement in some applications. Windform® XT 2.0 is the material chosen to build components examples include: intake manifolds, UAV parts, and air control ducting. It is also used in functional applications such as dyno tests, racetrack tests, on car parts and pre-series parts. It is also useful to construct CubeSat’s, since it is able to create thin and tough components. 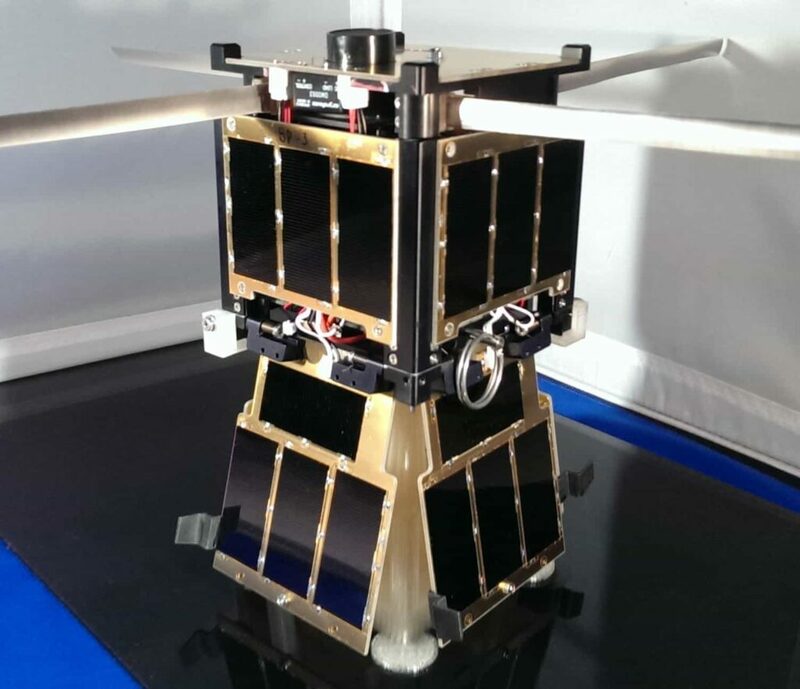 Windform XT 2.0 has been used to create parts of the CubeSat that has been launched into orbit with excellent results. Windform XT 2.0 is the lightest LS material vs strength. According to study carried out by Surrey Space Centre, Windform XT 2.0 has resulted to be the leading performing laser sintering material for ultimate strength per density. Windform SP is tougher material and it maintains maximum mechanical strength. Windform SP is a highly ductile material with top mechanical resistance, slightly lower than Windform XT 2.0. In addition it is waterproof with excellent sealing characteristics both to liquids (water, oil, gasoline, etc…) and gas. Windform SP can be used where there is high stress fatigue even in time type vibration or shock without the risk of breaking. The elasticity helps to absorb these mechanical stress. Windform SP is perfect in functional applications, for example it is particularly suitable for underhood parts, such as intake manifolds. 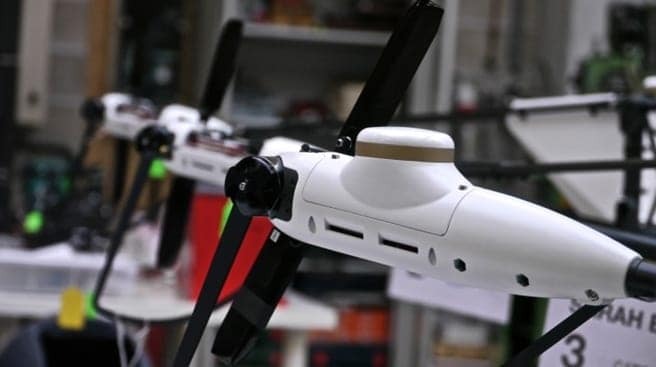 It is also used for UAV components and in dyno tests, racetrack tests and in small run production. Windform SP is also suggested in applications where resistance to damage, vibration and deformation is required. Windform GT is highly elastic and it is resistant to liquids. Windform GT is highly elastic, therefore it is suitable in applications where the material must be flexible and resistant at the same time in order to avoid any breakage. It also has a further characteristic: it is waterproof even without the aid of surface treatments. In case of parts that have to be submitted to pressure that goes from 1, 2 or more bars, the Windform GT is the suitable material as it stops the air, water or other liquids through its “tight” structure. It is also suitable in motorsport, air ducts, intake and cooling systems, the hydraulic ducts in contact with liquids or oils, in protective cover for sensors and for all applications that need a good flexibility and resistance to damage (for example: racing components near the ground). Moreover, the Windform GT is not electrically conductive. 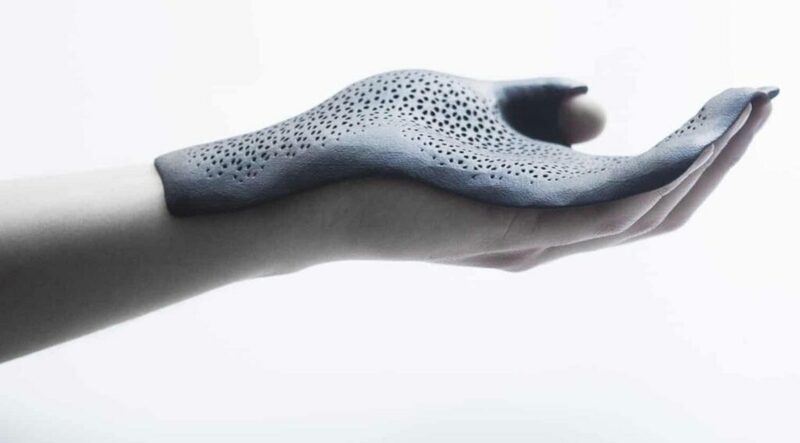 Among the latest applications the material has been used to construct tailor-made orthoses. The Windform GT for its flexibility, waterproof, resistance can be used in this medical field. For more information on the application click here. Polyamide based material reinforced with glass fibers. Windform LX 2.0 can be considered the excellent entry level with general characteristics, at a very good value. It can be used in multiple applications, where a functional material is required. Windform LX 2.0 is also not electrically conductive. Windform LX 2.0 has a good tensile strength thanks to the fiberglass. It can be CNC machined as all Windform materials. It has an excellent heat resistance with a melting point of around 180 ° C. It has a natural black colour and the surface finish makes it suitable for aesthetical parts (as well as very smooth: Ra = 1.5 microns). Windform LX 2.0 is suitable for applications that require high aesthetical properties. It is also possible to create functional parts that long last. Windform LX 2.0 can be the right solution in complex projects where it is necessary to verify the assembly of the finished products from the functional and aesthetic point of view. Moreover, Windform LX 2.0 is also a non-conductive material so it can be suitable for battery boxes, containers of electrical and electronic components and KERS energy recovery. Windform LX2.0, Windform XT2.0, Windform GT and Windform SP have passed outgassing tests that have been carried out at NASA. The result states: Materials were tested in accordance to the ASTM E-595-07 standard and are considered passing. Thanks to the activity carried out by CRP USA, Windform materials have been submitted to outgassing tests. The aim of these tests are very important especially when materials are used in space application. By submitting this form, you consent for your details to be sent to CRP Group and its authorized partners in order to respond to your inquiry. Depending on the location of the organization, your personal information may be transferred and processed outside of the European Economic Area.